I would like you all to welcome my sister Melissa to the blog today. She is doing me a HUGE favor and picking up an ARC review, while we are still in the process of relocating. (I seriously forgot how much work moving is O,o ) This is her very first review so you all show her some love!! A soldier returning for mid-tour leave decides to stay with a cousin in Maine, after his fiancé leaves him for someone else while he is away at war. His cousin is going through his own devastation and is struggling to pick up the pieces and move on with his family. As they try to help each other through the pain, Shane's path crosses Jenn's and he soon learns that everything happens for a reason. 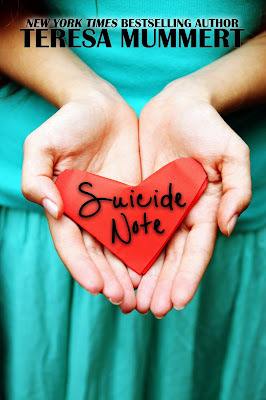 **This novel does not contain any acts of suicide and has a HEA. Melissa's thoughts; I loved this book! I fell in love with the characters right away and could not put it down. Shane is the perfect guy. He always puts everyone else ahead of himself. He is always trying to protect the ones he cares about, but fights to let anyone get to close to him. That is until Jenn comes along and changes everything. Could he finally have found someone he can trust to be there waiting for him when his tour is over and help him deal with the walls he has built around himself? Jenn has had a tough time trusting anyone since her heart was broken by the ones she trusted the most. She is ready to give up, and has everything planned out to do just that. When the day arrives to carry out her plan, Shane steps into her life. Jenn is face with a decision; can she find it in her heart to trust again? Can she handle being left behind and not knowing where she stands? This book and these characters had me going through so many emotions. You will have a few laughs along with shedding a few tears. Thanks for the great review Melissa. You didn't give away any spoilers but still have me eager to add it to my Kindle.